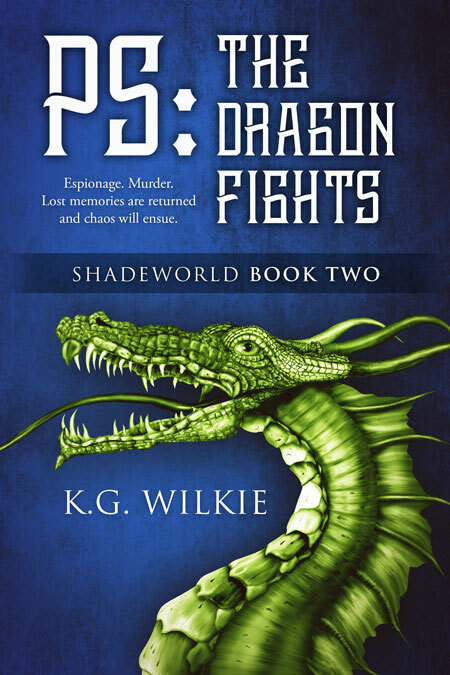 Beetiful designed the book cover to PS: The Dragon Fights by K.G. Wilkie. 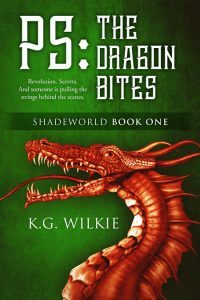 It’s the second book in the Shadeworld series. The Shadeworld is a realm that stood as refuge when all the magical beings on Earth were persecuted during the witch trials. The realm has had peace under the rule of the dragons for centuries, but now a kingdom divided between loyalty to the two heirs has sparked revolution. Crown prince Aeron ventures on a quest with his vampire friends and nymph lackeys to fight the encroaching darkness, but the darkness inside of him may threaten the balance and destroy everything he holds dear. As he fights for his people, Alyss struggles with knowing she’s a normal human teen that’s been imprisoned in a strange world full of monsters she never guessed might exist. The Alchemists, a group of tech mages who refuse to bow to the authority of the rebels or the dragons in the palace, say she has a secret that binds her to their strange world. A secret that may just change everything. 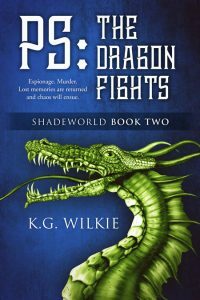 Get PS The Dragon Fights by K.G. Wilkie today!